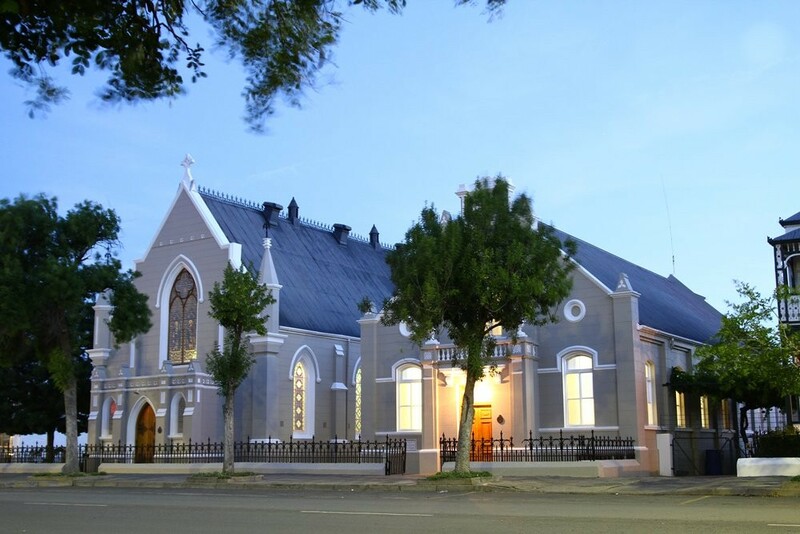 In 1871 the foundation stone of the Trinity Church on the corner of Caledon and Bourke Streets was laid and on the 15 September 1875 the official opening of the church took place. In 1894 it was necessary to enlarge the building and at the same time the school room was built and named the Dudley Hall in memory of Mr. B.F. Robert’s son. In 1900 the manse adjoining Dudley Hall was built.